Not even a Furry would tap Elmo. 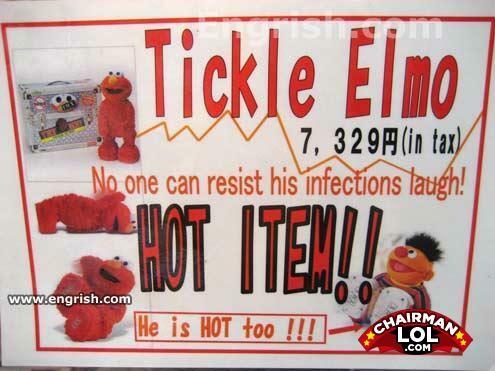 HOT ELMO? What an oxymoron. what do you call a guy who makes racist jokes?